† Both Scott  and Gibbons  state that two further values, 25pf orange and 50pf red-brown were printed but not sent to the colony. Gibbons prices them both at £300 only mint, but Scott shows the 25pf as $29,000 used. Gibbons preceeds the issue above with the postal agency of Otyimbingue (1888-91) identified by cancellation and goes on to mention many other post offices. German SWA began in 1893 with the purchase of land north of the Orange River by a German trader. A German Protectorate was declared the following year and the area expanded. South Africa invaded the protectorate during WW1, the territory was handed to GB after the war and incorporated into South Africa. 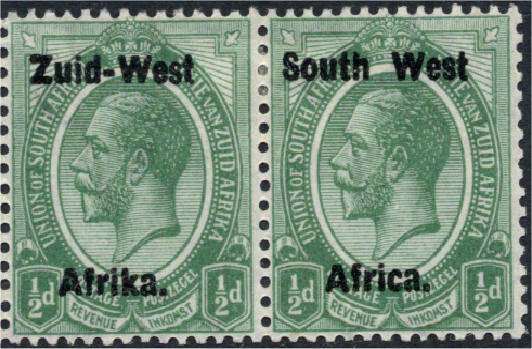 It continued to issue its own stamps until 1990, starting with overprints alternately in Afrikaans and English. 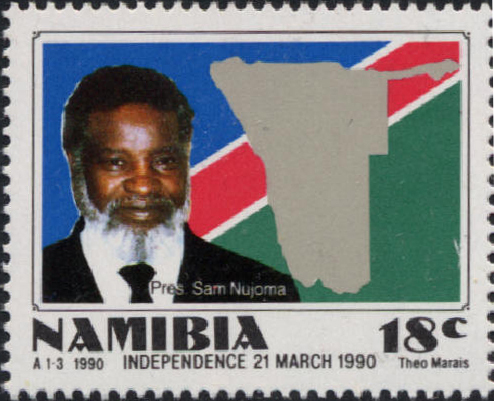 It was granted independence as Namibia in March 1990. 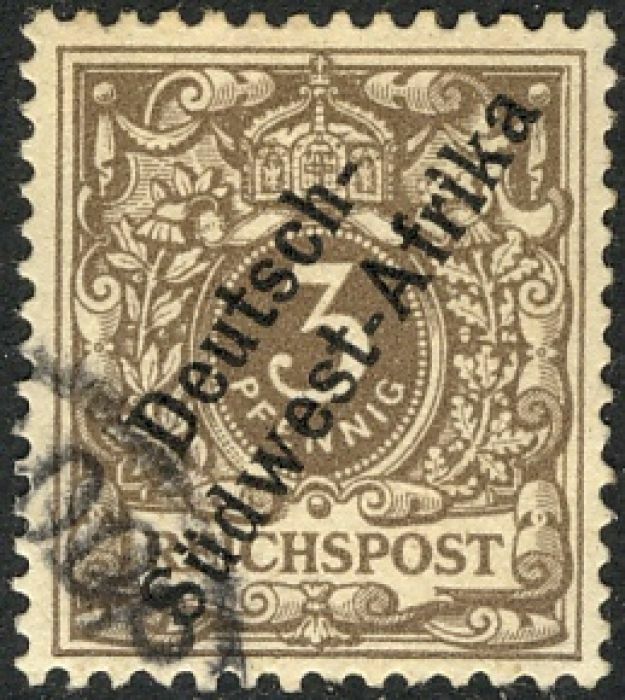 Namibia began (postally) as German South-West Africa in 1897, became South West Africa, part of South Africa after WW1, and became independent in 1990. Both Scott  and Gibbons  number consecutively. Sources: ScS , SGP7 , SGS .